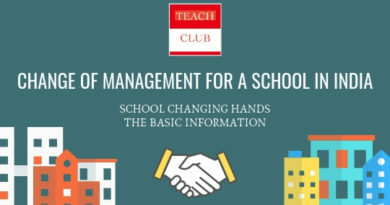 What is a School Management Committee in a CBSE School? Is it Compulsory for a school to have a School Management Committee? 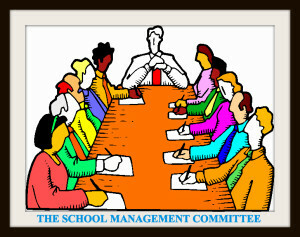 Yes, it is absolutely necessary for a school to have a School Management Committee (SMC). What are the Powers and Functions of SMC? It shall have the power to supervise the activities of the school for its smooth functioning. It will work according to the specific directions given by the Society regarding admission policy. However, admissions will be made as per merit without discretion of caste/creed/religion and region. It shall look into the welfare of the teachers and employees of the school. It shall evolve both short-term and long-term programmes for the improvement of the school. It shall have the powers for making appointment of teachers and non teaching staff. It shall exercise financial powers beyond those delegated to the Principal within the budgetary provision of the school. It shall have the power to take stock of academic programmes and progress of the school without jeopardising the academic freedom of Principal. It shall guide the Principal to maintain tone and discipline in the school. It shall ensure that the norms given in the Act of the State and by the CBSE regarding terms and conditions of service and other rules governing recognition/affiliation of the school are strictly adhered to. It should ensure that the school gets Furniture, Science equipment, Library books and other teaching aids and the requisite sports material in adequate quantity and on time. It shall exercise powers to take disciplinary action against staff. It shall have powers to sanction leave to the Head of the Institution including casual leave. It shall ensure that no financial irregularity is committed or any irregular procedure with regard to admission/examinations is adopted. It shall have the power to propose to the Society rates of tuition fees and other annual charges and also review the budget of the school presented by the Principal for forwarding the same to Society for approval. The Managing Committee will meet at least twice in an academic session. What should be the size of SMC? What should be the Profile of the members of SMC? 4 2 Two other persons (of whom one shall be women); who are or have been teachers of any other school or of any college. 5 2 These two members should not below the rank of a Principal of a Sr. Sec. School. Members outside of the School should be recommended by the Trust/Society running the school. Kindly Note: No Head Master/Principal shall be appointed in the school who is related to any member of the School Managing Committee. For the purpose of this rule, the relation includes the following Brothers, Sisters, Husband, Wife, Son, Daughter, Son-in-law and Daughter-in law. The term of the members of the Managing Committee shall be 3 years. Is a retired executive engineer from Govt. department ( PSU ) having qualification equivalent to degree in Engineering & having worked for a period of three to five years in teaching after the retirement eligible for the post of Principal/ Head of school. Dear Sir . I run a school under the banner of a trust who has five memebers inclusive of my wife who is the secretary of the trust . Iam the chairman of the trust . I am looking for an affiliation to CBSE . Can me or my wife be the principal of the school or not ? and what role we can play in forming the School managing committee . Means can we be the part of school managing committeee . Which management post can be given to a person having 15 years of experience in teaching without B. Ed? What do you mean by ‘Management’ post, if the answer is can a person having 15 years of teaching experience without a B.Ed become a Principal — the answer is Yes. Can a Secretary of CBSE affiliated non-aided school run by Trust be on the same Post for 9 Years as a Secretary and also in SMC too ? Yes he can be a part of both. Though the head of the SMC is Principal, rest are just regular members. can a husband and wife be the member of school management committee? Also whom to inform about the composition of school management committee and changes thereon. A husband and Wife can be members, I don’t see a problem with that. The information about the change has to be maintained internally by a school and that should open to perusal if CBSE demand it. Can members of the committee (SMC) be related to each other? Like husband and wife are members of the Committee. Also does school is required to report its composition to any authority? I need your Support on what has to be the content of the forwarding Letter for getting the approval on School Managing Committee under CBSE and to whom the letter should be addressed. The letter should just contain the names, roles , current profession and addresses of the members of SMC. We are starting new School. what is the minimum requirement of a staff from Nur till grade 6. i searched but no hierarchy is mentioned… we are planning to go with the Principal, Administrator and 8 teachers and clearical staff to start with. will it suffice or do we need more staff. is there any mention in the by-laws?? Number of Teaching Staff members is calculated by using a multiple of 1.5 multiplied by number of sections + Principal. For example if you are opening 18 Classes/ rooms / sections (2 section of each class from Nursery to Class VI) you will need —> 1.5 X 18 = 27 Teachers. This is indeed mentioned in the bye laws. I am a commerce graduate and My father is the president of SMC cbse school and we already have secretary and principal in our school. As we dont have managing director in our school, so can i be MD of our school? 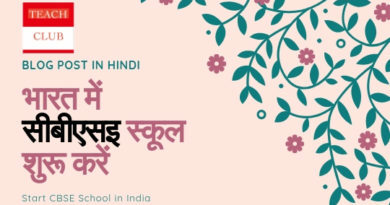 Is there any position of MD in cbse school? If not then do let me know about the available administrative post in cbse school. We are very much confuse about it. Yes the society / trust can resolve to create a post of managing director and employ the individual. I am going to start a school from April 2017. we have purchased the land and construction will start soon. If we manage to complete the required level of construction before June 2017, can i apply for affiliation before 30th June 2017? Secondly what is the minimum level of construction required for getting CBSE affiliation? The School has to have teachers etc before you apply for affiliation since all that information they will ask during the application time. CBSE is not only about building and land but also about Teachers and methodology etc. There are no norms about Minimum Construction but here the operating word is ‘ADEQUATE’ since school can vary in population in terms of students. Read the bye laws they have mentioned the space required per student. In our trust my father is secretary and I am a member. I possess all qualification for Principal and has been working as Principal. Can I continue to work as Principal. Also guide me who can become the secretary of the SMC. How many training workshops for teachers have to be conducted in a year before seeking affiliation? How many workshops are mandatory?Any particular topics? The topics are already given by the board, and Empaneled Agencies are there who are authorised to conduct the workshop. Based upon your need you can either call one such agency or ask schools around you to convene such training. SIR I AM HAPPY FOR YOUR CLEAR HELPFULL REPLIES.I HAVE ALSO A PROBLEM ABOUT NON PROPRIETARY AFFIDAVIT FORMAT IS NOT AVAILABLE .IN OUR SOCIETY 3 MEMBERS ARE IN BLOOD LINE AND ALL THEY ARE MARRIED. HOW CAN I SHOW BLOOD RELATION IN AFFIDAVIT.PLEASE PROVIDE ME FORMAT FOR THIS.I WILL BE VERY THANKFUL TO YOU FOR THIS. If the Chairman is related to someone he has to declare the same in the format. It could be either Hindi or English. Small question about the posts of the management people in SMC. Chairman/Managing Director/Director or any other similar post. Are they need to be defined in SMC only or we have some other documentation to show such posts? In society also, we don’t have such posts right? A society has posts like President, Secretary, Treasurer and other members. Where do we define these posts: Chairman/Director/MD etc. Read the norms of the Society / Trust for your state. In a society you can have Chairman, Secretary, Vice – Chairman, Treasurer etc. Hello Abhiney please advice on this…. I’m the secretary of the trust. Going to apply for the CBSE affiliation.. is it allowed if I’m also the Principal of the school as per CBSE norm. Yes you can be, no issues with that. – No Head Master/Principal shall be appointed in the school who is related to any member of the School Managing Committee. A. (i) Masters Degree or Honours Degree of a Foreign University recognised as equivalent to the Master’s Degree of an Indian University by the U.P.S.C. or Honours Degree of such Indian Universities as may be recognized equivalent to the Master’s Degree by the U.P.S.C. a) At least 3 years experience of administrative charge of a recognised College having Intermediate or higher classes. b) At least 5 years experience of administrative charge of a recognised High School. c) At least 5 years experience of teaching in a recognised college or Higher Secondary School or an equivalent teaching experience in a Teachers Training Institute. d) At least 8 years teaching experience in a recognised High School. e) At least 5 years experience including 3years educational administrative experience and 2 years teaching experience in a recognised High or Higher Secondary School or a Teachers Training Institute. B. Bachelor of Engineering with 5 years teaching experience in a recognised College or Hr. Sec. School (Given effect from 1.1.1977). D. Persons possessing Masters Degree with at least 15 years teaching experience in a recognised Higher Secondary School and/or a recognised college having attained the age of 45 years. E. Persons possessing Masters Degree in Education and having the requisite experience as provided for in anyone of the forgoing clauses A to D.
At least Master’s Degree (or its equivalent) with a teaching degree or its equivalent with 5 years experience of teaching of High or Higher Secondary/Intermediate classes. iii) 8 years experience of teaching Secondary School classes (up to class X) or 12 years of teaching experience of Middle and Secondary classes of which minimum 5 years being experience of teaching the Secondary classes; or 5 years experience as Headmaster of Middle School or other equivalent administrative experience. No problem whatsoever. I wish you all the best. I have a question relating to the constitution of SMC. When it comes to the selection of member of SMC, who has the power to decide onto the selection of two parent members and also two teachers of School? Is it the Society/trust itself? It is mutual consensus. More often than not the Principal who is the head of the SMC is supposed to take a call. Can a secretary of a society be the manager of the school, and get monthly salary from the society as full timer? can a society member be a principal of the school if qualification permits? Who can appoint members to the Society/ trust of the CBSE school? are they appointed by way of a voting procedure? if yes, who is allowed to vote? It is a voluntary thing hence Voting is not the procedure. It is more of a mutual consent and agreement. Hello, can a govt employee /teacher be a member of school management committee. Recently I am going to open a cbse school soon. I want to know that I am going to form a society with 3 members are same family, 2 are another family and rest 2 are from another family.Is it acceptable by the society registration office and cbse authority. This is alright Samir, you can move ahead with this configuration. Just remember while making the Non – Proprietary affidavit, the Chairman if has family members he has to declare the same in the document. I am a member of a SMC for an non aided school being run by a company registered as per company law. Initially the school was affiliated to state board and subsequently sought provisional affiliation to CBSE with due NOC from State education officer. Our school falls under category B as per bye laws i.e. Please guide, which Acts/Rules shall be followed by us, the Acts/Rules prescribed by State government for non aided school or there are separate prescribed Acts/Rules for CBSC school. Bye laws for CBSE under definitions part xxviii describe the session period normally as April – March, whereas state govt. Rules indicates this as July to June. Choosing the start point itself becomes ambiguous. I will be thankful for your guidance in the matter. Session start date wouldn’t matter so much, since you will be taking it from the next year onwards. as we are running school under state syllabus since from 2000-01, at present i want to apply for CBSE syllabus, what can i do please guaid me. I have written about the same here extensively the post. Can u guide me how to deal with parents who discourage the following of rules of the school and create issues every now and then? Our teachers stay far away from corporal punishment and r not rude. But parents don’t even want the teachers to insist kids to follow discipline. Counselling is the only way to deal with such parents at the same time do not lose your temper while dealing with students and parents. Make them empathise with your administration and tell the practical aspects of what you wish to do. It’s a never ending process, you just have to be at it all the time. Can you please guide me regarding:- Trust is running educational Institution(school),Teachers and staffs are employed in school. School does not have PAN Card, So whether Trust is going to Pay Profession tax and TDS deducted from Employee? or school should apply for PAN Card, as because we cannot get enrolment and registration for P Tax without Pan Card. If P Tax is Paid by Trust Owning and maintaining such school will there be any problem for CBSE affiliation.? School doesn’t take PAN card but the Trust or the society will certainly have PAN Card number. The income/expenditure is not managed by the school but by the trust / society. No there is no provision like that. Though Exam papers (question bank) for some classes is provided by the CBSE. Abhiney I just want to know “what is the minimum Eligibilty and Experiences criteria for a newlly provosinated CBSE school. I just want to know this thong for knowladge . There are conditions and minimum criteria across parameters like Infrastructure, Staff, Furniture, Labs, Financial transactions, Operating Procedures etc. 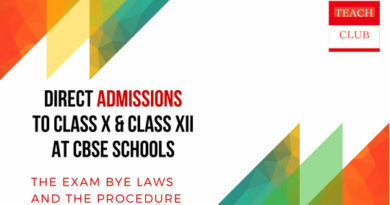 CBSE publishes an affiliation bye-laws hand book. This book contains all the information in detail and is freely available at http://www.cbseaff.nic.in for anyone’s perusal. That explain all these parameters in detail. is it compulsory that we need to give full information of the smc to the parents of the school if enquired ?what is the procedure? Dear Vijay, If some parents asks for it you have to and you have to disclose the details of SMC (this is mandatory) on your school’s website. Can a Trustee member be a manager of his own school as per CBSE norms & conditions. Please reply sir ASAP. Yes a trustee member can act as a manager in the school. No issues according to me. Can a Trustee Member be a manager of his own School in CBSE norms & Conditions. Please reply its very urgent. Hope someone will help me out with positive feedback. we are going to start a school in tamilnadu for the coming academic year. (Pre-KG to V std)my father is giving his 1.6 acres of land for lease for our trust.my maternal uncle will be the managing trustee,myself secretary and my brother’s wife is a treasurer.if my father and mother will be a founder trustee ,there will be any problem in getting CBSE affiliation for blood relation issue.?? There will not be a problem till the time all the family combined does not have a majority voting share in the trust. for example if the trust comprises of the 9 members than the blood-line family cannot have more than 4 members. IN addition to this the affidavit will have to outline the relationship between those four from the same family. Conferring so much power to SMC is meaningless…it actually harassed the teachers n students by interfering in their functioning. All members of smc are from political background n they only look their political interest by politicise the education. Govt must scrape smc. I don’t think it will have any negative impact. Till the time infrastructure is there CBSE should not be worried about revoking affiliation. Thanks for your help. Please advice me about minimum qualification of CBSE school manager. There is no minimum requirement I can think off, even if there is please refer to bye laws. It is the bible for all CBSE schools to follow. According to CBSE bye-laws, upper cap for members in SMC is 21 for private un-aided school. 1. Any idea of minimum cap? 2.a) Can we have some members from the society also that runs the school? If Yes then is there any maximum limit on that? 2.b) Do we need any specific profile of members to be nominated for the 6th point? 1) I think the minimum cap is 9, have a look at the bye law available on the CBSE website. I have just illustrated the information from there.